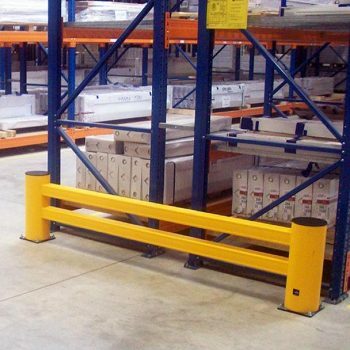 Suitable for almost all standard racking systems, unlike barriers made from steel or other materials, it is made from a highly durable synthetic polymer, with inherent flexibility under impact conditions while also having the strength to withstand high impact loadings. Standard fixings for concrete included. Applications include protection of rack bay ends. 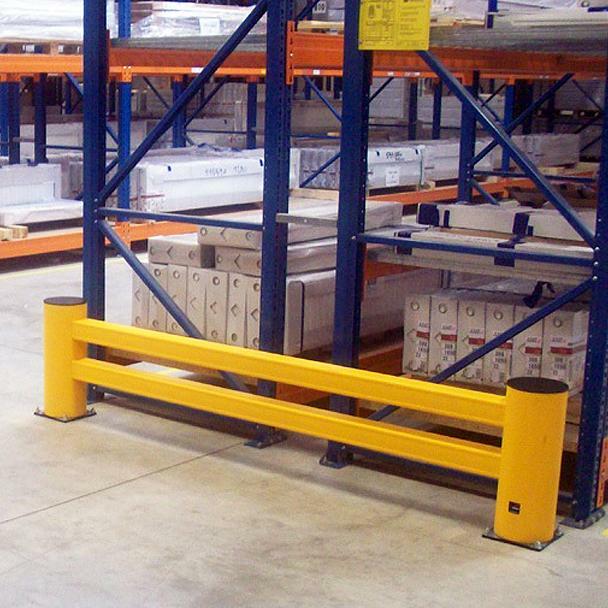 The Rack End Protector is designed to provide effective impact protection for the ends of racking systems used in the warehouse, distribution and logistics industries. 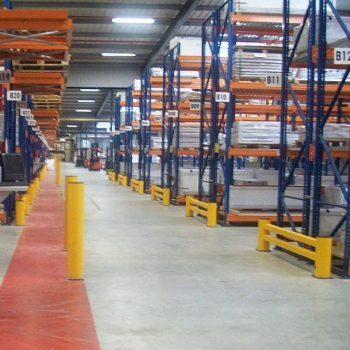 Suitable for almost all standard racking systems, unlike barriers made from steel or other materials, it is made from a highly durable synthetic polymer, with inherent flexibility under impact conditions while also having the strength to withstand high impact loadings. This means that, rather than being permantly deformed or destroyed, the barrier absorbs and dissipates the force of impact by ‘flexing’ and bending before returning to its original shape and form. This provides a major reduction in the cost of barrier repair and replacement over the lifetime of a modern facility. When installed, the barrier has no direct contact with the racking system and therefore no impact forces are transmitted, ensuring total protection from damage. Available in a range of sizes to suit single or double bays from all manufacturers. 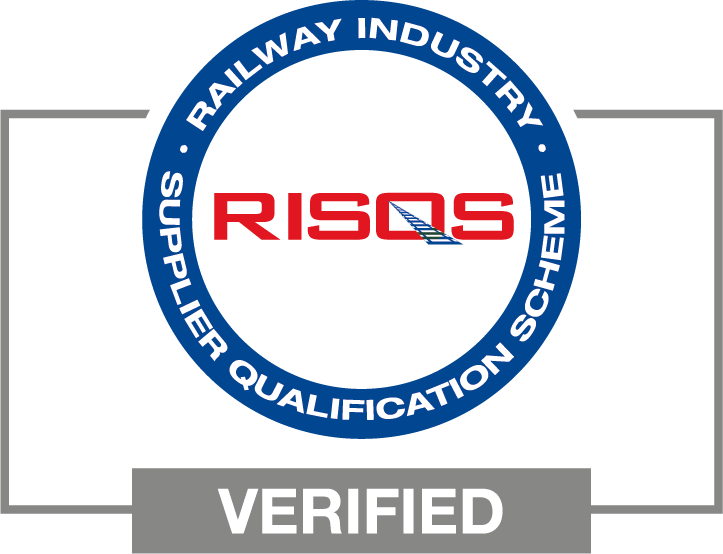 The product has been designed and developed to comply with relevant safety standards and regulations.